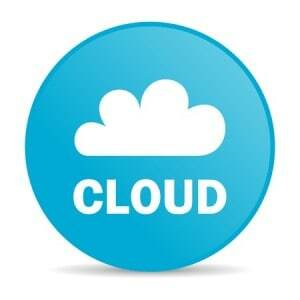 Why is there an Increasing Demand for Cloud Solutions? Cloud computing has redefined the way individuals, organizations and business enterprises do things. Individuals can make Facebook updates on the go; account owners can check their bank balances using their phones while organizations can access a vast array of data manipulation and storage tools without necessarily investing in expensive infrastructure. And this is only a tip of the iceberg. The question then is: what are the key factors behind the high demand for cloud solutions? Certainly, the platform helps businesses to improve on service delivery, cut on costs and basically have access to better resources amongst many other gains. Here are six of the best reasons behind the surge of cloud solutions. It’s not uncommon for businesses to suffer data loss through theft, fires and even hacking. If sensitive data get in the wrong hands, the resulting damages may be irreparable. Constants updates, storage data in remote locations and the strict authentication procedures that come with cloud solutions help make the data more secure compared to storing it on local hardware. And in case a device gets lost or stolen, owners can wipe out any data stored on the device remotely. This minimizes the chances of sensitive information getting in the wrong hands. The security features allow cloud computing to be used in payroll software in Singapore that process sensitive functions like employee’s wages. A growing business goes through uncertain times in form of fluctuating bandwidth demands, storage needs and cash flows. For businesses that have invested in cloud solutions, capacity can be provisioned to meet requirements during peak times and later de-provisioned when the demand falls. Cloud computing offers such businesses the agility to adjust their bottom line depending on their budget limitations, scale of operations and existing competition. This is in addition to the fact that business owners can monitor their ventures remotely as the data as accessible from any location. It is this flexibility that allows cloud solution to be used in accounting software in Singapore companies that needs to perform numerous calculations and reporting daily and monthly. Companies that leverage on cloud solutions aren’t forced to invest on costly legacy servers and storage systems as the service provider avails the services remotely and at only a fraction of the cost. Additionally, the service provider bears all the costs of running the network as well as developing technological expertise necessarily for running the networks successfully. All these enables even small companies to access the services on a limited budget. For businesses investing in Software-as-a-Service cloud solutions, latest versions of the various applications that help run the business processes are made available to clients soon after their release. Availability of such automatic upgrades increases employees’ productivity as every upgrade comes with new features and better functionality. This is in contrast to custom, off-the-shelf software that may be updated only once a year and require massive roll out with each upgrade. Majority of cloud providers are highly reliable when it comes to provision of services. This means that as long as employees of a given organization have internet connectivity, they can access applications and functionality of interest from any location. Some cloud providers even avail applications that work offline. All these lead to better services offered to customers and basically improve a business’ reputation. With cloud computing, entire servers and accompanying operating systems, applications, data, and patches are encapsulated into a virtual server that can be backed up to a different offsite data center. The virtual server can as well be spun up on to the virtual host within minutes. This is not mention that components can be transferred between different servers as a single unit since cloud servers are hardware independent. The end result is reduction in the recovery times in comparison to conventional back up methods where each component would need to be transferred independently.